Bishop David Hope’s Easter Homily can be read here. The 2013 issue of the Costock Chronicle is now available HERE. 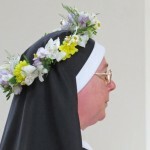 Tuesday 6th August, the Feast of the Transfiguration of our Lord, saw the Profession in Life Vows of Sister Mary Catherine, during the Conventual Mass. The former Archbishop of York, Dr David Hope, presided at the Rite and was assisted by Canon Gavin Kirk (the Warden) and Canon Kenenth Court (Chaplain). About 80 people attended the joyful occasion which was rounded off by a wonderful celebratory lunch. 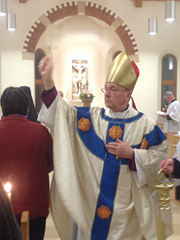 To read the Homily from Archbishop David click here. 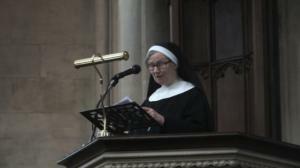 Reverend Mother Mary Luke preached the homily at the Church of Christ the King in Gordon Square London on 28th February 2013. The occasion was the Installation of Fr Kit Dunkley as Master General and Fr Nicholas Spicer as Master Provincial of the Society of the Holy Cross. Around 600 SSC priests were present and some of the CHC sisters and several other Religious were also able to share in what was an impressive and uplifting occasion. 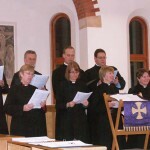 Here are two links to documents provided by the Community regarding Vocations to the Religious Life and also the process of being an Alongsider. 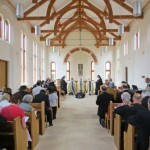 The Dedication of the Church and Blessing of the Convent and other buildings. 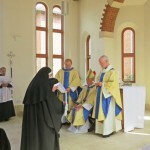 The high point of the year was undoubtedly the 14th July when our visitor, the Rt Rev’d Dr David Hope, dedicated our conventual church and blessed the convent and other buildings. The 14th July has traditionally always been the date of our Dedication, being our foundress, Mother Elizabeth Neale’s birthday. Last year we were still in the throes of unpacking, the guest house wasn’t ready and as we still wished to keep the festival on the 14th July we had to wait for another year. It was a hard job deciding whom to invite as the church is not quite the same size as Southwell Minster! In the end we managed to squeeze 93 guests in, though a few had to sit outside the west door. 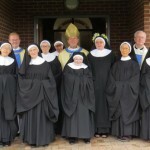 Sr Mary Cuthbert came down from Yorkshire and Sr Mary Hannah came back from Korea for a month for the ceremony so we were all here for the first time since a year ago last May. 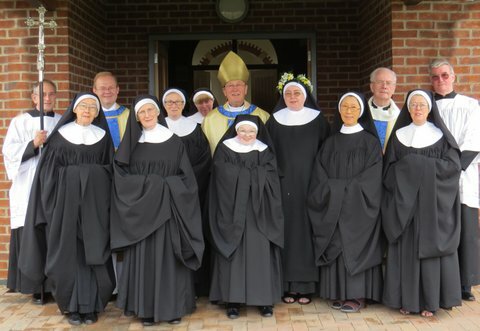 Religious from a number of Anglican Communities came and also some Roman Catholic friends and neighbours from Mount St Bernard Abbey and the Franciscan Sisters from Melton. Bishop David was assisted by our Warden, Canon Gavin Kirk, and Honorary Chaplain, Canon Kenneth Court. 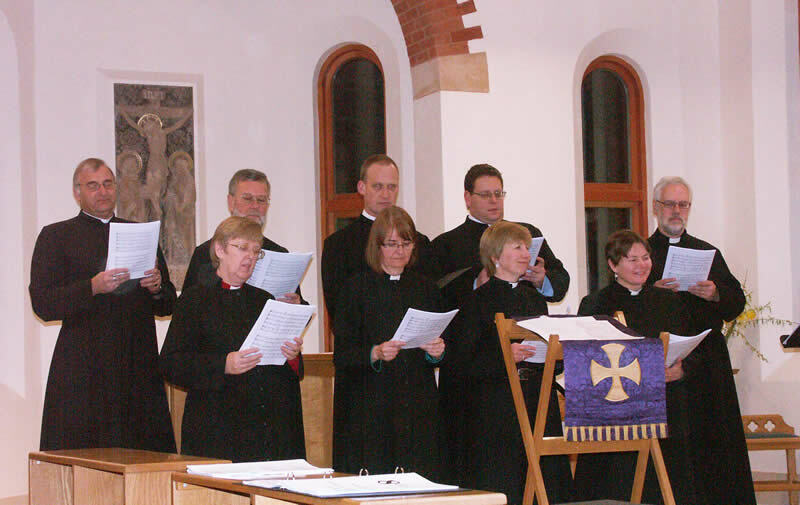 Thanks to a suggestion from the Dean of Southwell Minster, the Ven John Guille, our singing was augmented by four members of the Minster Chorale: Margaret Gale, Angela Ashwin, Helen Mather and Susan Dawson, who had to learn some Latin plainsong having never sung it before. Accompaniment was provided by Aric Prentice, the director of music at Lincoln Minster. I think we can say the celebration was wonderful, made even better by, after weeks of rain, the sun coming out after Mass allowing us to eat lunch out in the garden.